Today only, you can buy Donald Miller’s Storyline Creating Your Life Plan for just $39.95. Best Black Friday deal out there. Posted in Dare to Dream #write31days on November 27, 2015 by Kristin Meador. 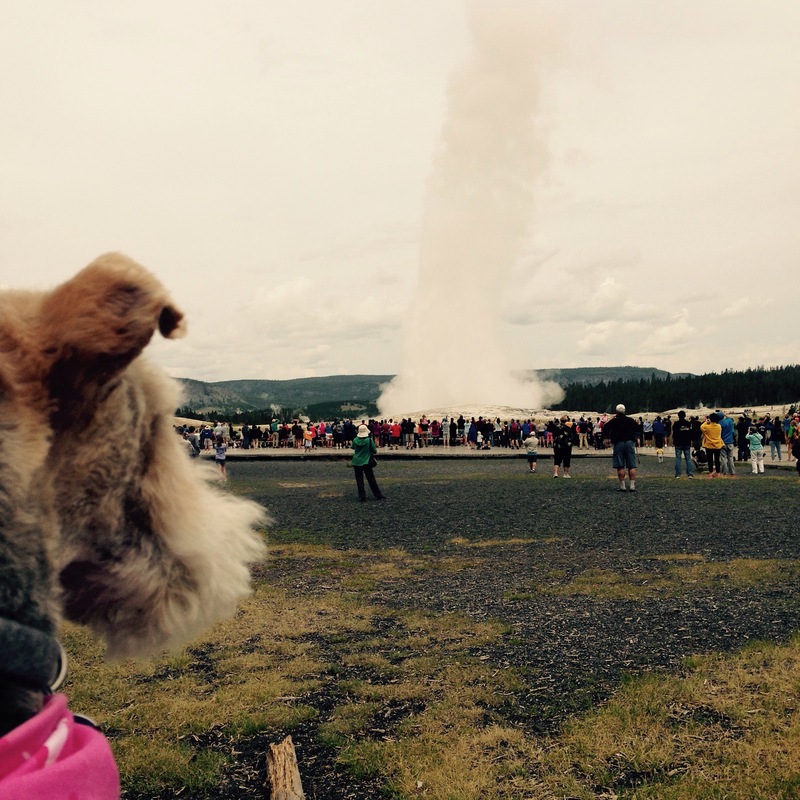 Four months ago today I was driving through Yellowstone National Park with my husband Craig and our dog Lilly. We had just sold or given away about one third of our belongings, and we packed up the rest of the stuff we had accumulated in thirty-one years of marriage and moved from Vancouver, Washington to Louisville, Kentucky. It was a scary move to leave our beloved Pacific Northwest and move to a new part of the country where we didn’t know a soul other than my husband’s new co-workers. I thought my life had been turned upside down. Until I went to the Storyline Conference this weekend. It seems that God tends to work this way in my life. Things become unsettled and topsy-turvy, and just when I think I am settling in and getting used to it, my upside-down is turned upside-down. And that is what happened this weekend. My brain and heart are so full that I have a conference hangover, but I will try to convey at least a couple of coherent thoughts. I attended the Storyline Conference in 2014, and since that time my life has never been the same. I’ve been wrecked, but in a good way. That is why I was open to move to Louisville. But this Storyline was exponentially deeper for me. The speakers were extraordinarily vulnerable. Photographer Jeremy Cowart did an amazing multi-media presentation about how his life transitioned from “I Can’t” as a kid who felt like a failure and tested in the 5-15 percentile to “I Can Do All Things Through Christ” and became a well-known photographer. As he told his story and shared his humanitarian efforts, I was weeping in my seat. I have found my new favorite human. You can watch his presentation on Vimeo. And then after that (I mean like MINUTES after that), when my tears were barely dry, we heard the beautiful story of two best friends who walked the Way of St James in Spain, the pilgrimage of the Camino de Santiago. I guess I shouldn’t say walked, because one of the friends has a degenerative neurological disorder, and his friend PUSHED him 500 miles across Spain. Please watch the trailer for their upcoming documentary, “I’ll Push You“. It was such and inspiring story of brotherly love and perseverence. I am not sure that I had one tear left after these two stories. Another presentation that tore at my heart was Miles Adcox from Onsite, a renowned counseling center that offers intense experiential counseling workshops. He did an exercise in openness with his brother – his real brother – in front of the whole audience. Not staged or scripted, this intimate exchange with two brothers working on repairing their relationship and speaking hard truths to each other in front of an audience of 2,000 people was raw and real and it tore my heart wide open. It was such a great reminder to not let important things go unsaid, and how it is especially difficult with our own families. Finding your voice is less about finding your voice than it is about finding yourself. Write to change one person’s life, and you will change the world. The place you have to go to find your voice is probably the place you don’t want to go. Sometimes the suffering, more than the healing, is the catalyst for transformation in our lives. The suffering will whisper you secrets if you let it. She then lead us in an exercise to find our voice. Writing “I am From” was an enlightening exercise for me, and helped me remember who I am at the core. There are so many other impacting moments, and I will write about them later. I wish I could encourage you all to attend the Storyline Conference, but unfortunately, it was announced that this will be the last one. If you are interested in this process, you can find materials at storylineblog.com. I am beyond thankful for Donald Miller and his books, and for the whole Storyline process and materials. I can honestly say that my life would not be the same without the things I have learned. The stories they have told have changed my world, and are changing my world every day. And now my job is to use my story to change the world. Please excuse this stream of consciousness – it’s the middle of the night and I am processing. It’s 2:30 am and I am lying in bed in a hotel in Chicago. Having worked Tuesday night, I went home and slept two and a half hours, then hopped in my car and drove the long and boring five-hour drive from Louisville to Chicago. I was able to get to bed early in preparation for the conference tomorrow, but I woke up at 2am. My sleep is off, my brain won’t shut down, and my heart is unsettled. I am living another part of my dream – when we sold our house and moved to Louisville, I told my husband one of my dreams was to attend the Storyline conference again, this time from the perspective of a writer. So I signed up for the whole works – dinner with Don Miller, the full conference experience, and an extra day with a workshop on how to tell a better story. Since the first time I attend this conference (almost two years ago), so much has changed. I’ve seen old dreams die, and new dreams come true. I started two blogs, I have started writing again, and we have moved across the country, far from our friends and family, and are slowly building a new community. In preparing my heart for this conference, I’ve been reflecting a lot on the past years, particularly since the last conference. Before that conference nineteen months ago, there were seeds planted in my heart. The speakers I heard and the things I learned watered and nurtured those seeds and I saw them sprout and start to grow. My dream of retiring and becoming part of a close neighborhood community was reborn into a dream of buying an old house in downtown Vancouver where people could come, gather around the table, or sit with a cup of coffee and talk about life in a safe place. That dream died, or at least changed. We left our family and friends and moved 2300 miles away. We now have the house and the table is waiting for guests, but we are tasked with bravely building a new community from scratch in a city where we knew no one. Those seeds were planted, and it has been amazing to see them grow and change. This year, I feel I am getting ready to harvest some of those dreams. As with the last conference, seeds were planted long before I got here. And as I am typing this, I feel the tension of a new dream being born. And that scares me, but it’s also thrilling. And scary. And even more scary. I feel big changes coming. Haven’t I had enough big changes this year? 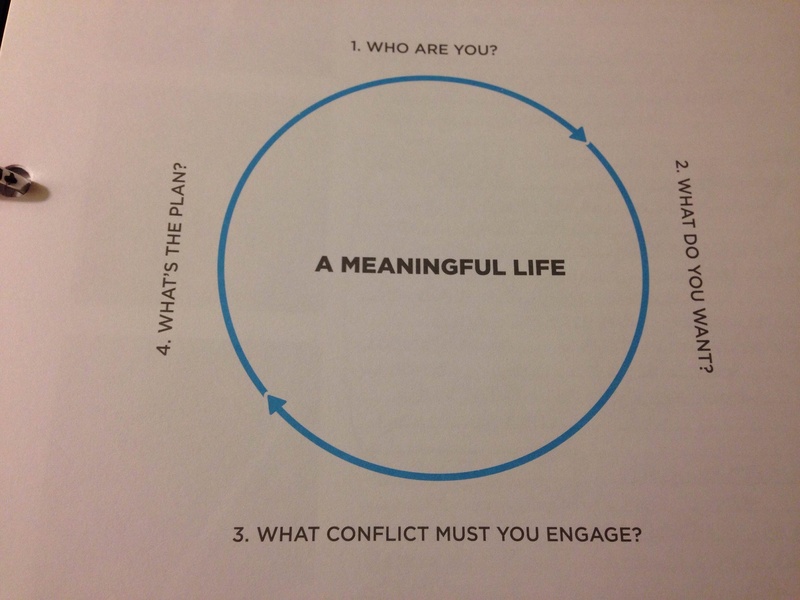 In getting my heart ready for this conference, I looked again at the “Creating a Life Plan” curriculum from Storyline. I love this exercise – I would like to take the whole world through it! After writing my positive and negative turns and plotting them on a timeline, the theme was so evident. Through childhood, restless youth, and a broken and restored marriage. Through miscarriages and infertility, the loss and restoration of a prodigal son, and through the season of empty nest. As a wounded member of the church and the Church, and now with this move and huge life change – it is evident. He rescues and restores us from a hopeless place. That is so evident as the theme of my life in this season. And I know God is going to use our story, as he has in the past, to bring hope to those who feel hopeless. To bring light in the darkness of despair. To help those who are so blinded with the inconsistencies of what they see in the Christians who are so engaged in political and moral self-righteousness that they have forgotten the core of Christianity – Love one another – I want to help shine the light. And I know this is part of my story. But here I am. Unsettled again. Feeling the labor pains of a new dream being born. The next part of Creating a Life Plan involved looking at the roles in your life, and defining them, then setting a goal or ambition for each role. This, along with identifying a theme of your life, is meant to help provide a focus and a filter. Aside from my role as a spiritual being, the five roles I identified were: Wife, Family member (broad, I know, but it includes mom, daughter, sister, daughter-in-law, and niece), Friend, Neighbor (includes my immediate physical neighborhood as well as work and extended family), and Creative (writer, etc). Narrowing these roles and identifying goals for each helped to confirm the message that has been poking at my heart. I don’t remember when, but in the past year or so I read about the wife of a prominent worship leader and author who had been a popular Christian blogger and I believe a speaker as well. She had multitudes of followers on social media, but after some events in her life, decided to leave it all behind. She closed her popular blog and basically left social media to focus on her community. Not her community of followers, but her actual physical community – her family, her friends, her church. Something about this really appealed to me. Then recently I was listening to author Shauna Niequist speak about something similar. She is a popular Christian author and speaker, but she felt that things had become unbalanced. She decided to reevaluate her time and energy, and to keep her family and her close community a priority, even if that meant disappointing her larger community (social media, and her agent). Basically she said – if I am not as loving and present with my people as I am on stage or with my social media community, what good is that? I am not explaining it clearly (thank you, sleep deprivation), but hearing her talk about her change in priorities only served to confirm what has been on my heart. I want to love my people better. And to do that, I am thinking I need to close my circle. By that, I mean concentrating on my five roles, and my goals in each of those roles, and letting everything else go. What will that look like? I don’t know, but I am getting some clues. I think it is going to mean a big change in social media. I love keeping in contact with friends, co-workers, and family from back home. But how much of my energy is going to maintaining a relationship with friends from high school or people I worked with ten years ago. I enjoy that, but in terms of a greater purpose, what does that mean. Not to mention the time I spend on social media. If I want to concentrate on my ‘small circle’ and really love them well, what will that mean? How will things change? Am I spending more time reading an ex-co-worker’s blog or being part of a Facebook group of 10,000 dreamers than I am loving my next door neighbor who had surgery yesterday, or practically loving my sons who are living in all corners or the world, or writing a card or letter to my brother on his anniversary, or finding time across the miles and time changes to talk to my best friend on the phone? Don’t misunderstand me – I’m not saying that my co-worker’s blog or Facebook group are not good things. But are they the BEST things at this time in my life? I do not want to sacrifice best things to good things. With limited resources of time and energy, how can I best build and love my tribe, my people, my small circle? And if I am looking to focus on my small circle, what does this mean for my dream to write? I don’t know that answer. But I have a feeling I will get closer to the answer this weekend. Unsettled is a good thing. Posted in Dare to Dream #write31days and tagged balance, community, Donald Miller, dream, life plan, love, meaningful life, quitting facebook, small circle, social media, Storyline, Storyline Conference, tribe on November 5, 2015 by Kristin Meador. First of all – I obviously haven’t completed the #write31days challenge. I was out of town, and then got sick, and then went out of town again, and it just wasn’t happening. So I’m going to finish it up like this, it just won’t be done in October (obviously). As part of attending Donald Miller’s Storyline Conference, I can participate in some curriculum called “Creating Your Life Plan.” I had actually purchased similar material from Storyline years ago, and never completed it. But I feel like God has been preparing my heart for something big at this conference, and I want robe ready. So here goes. I’ve decided that since I’m going to the Storyline conference on Thursday, I should try to actually complete some of the curriculum. So I’m going to run through “Creating a Life Plan” in 4 days (I think it’s usually supposed to take 30-45 days). I’ve read through it and done some of the steps in other programs, but I really want to have it done before the conference so that I can move on to other big things 🙂 (Have I ever mentioned that I am an all-or-nothing, impulsive type of gal?) I have all day on the plane flying home tomorrow, and I have the 5+ hour drive from Louisville to Chicago on Wednesday, so I know I’ll at least have that time to work on it. Tonight’s assignment: list the ‘major turns’ in the story of your life, both positive and negative. Major turns are those moments that once they happen, you are never the same again. Once you walk through that door, there is no looking back. Once you identify a major turns, you categorize it as negative or positive, and then give it a weighted number of 1 to 10. On the video, Don states that if you’re age 40, you probably have about 15 of these turns. For instance, in my life one major turn was when I was 24 and my only sister, Tricia, who was 19, was killed in a single car accident when she fell asleep at the wheel. Losing Tricia greatly impacted my whole family, as you can imagine, but specifically for me it left a big hole in my heart at losing my only sister, and not having a sister relationship from that time on. So tomorrow (and probably tonight as I’m falling asleep) I’m going to think about the timeline of my life, and start to identify my ‘major turns’. I’ve done something similar before, and I think it will be really interesting to find which events I now identify as life changing compared to when I did this almost 15 years ago.